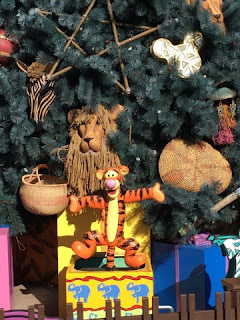 Each Christmas tree at the Disney parks has a related theme. Obviously, the one at Animal Kingdom features animals. Here is a shot of the "Tigger in the Box" that I took a few days ago.